Soon, very soon—Sunday, in fact—the sudsy, seven-day carnival known as <a target="_blank" href= "http://www.dcbeerweek.com/">DC Beer Week</a> will be upon us. You don’t want to be caught unprepared, so we’ve separated the hops from the chaff to give you the six must-attend events. You'll start this week the way you would any other. With eggs. But this time, there will be a lot more beer. Five of them, in fact, including Founders Canadian Breakfast Stout (brewed with coffee and aged in maple barrels) and the super-strong Three Floyds Stay in School Ale. In the school of beer, you're in the gifted and talented program. Whether it's the GDP or the World Basketball Championship, you're all about country-vs.-country competition. Food Network alum Teddy Folkman feels the same, so he's serving you five courses (pork belly dumplings, fried pickles) each paired with a Belgian and a Belgian-style American. Vote early and often. You're already heading to Nats Park to catch the Cubs series. So you'll want to stick your head into the nearby watering hole, where $10 gets you a draft and a slice of Dangerously Delicious pie. We hear malted barley goes great with Chocolate Chess. Not since Kucinich and DeMint co-authored a bill on aliens have Carolina and Cleveland come together like this. Cap Lounge's Sidebar is rolling out brisket, Carolina-style pulled pork and kielbasa, paired with four Great Lakes brews from Cleveland. Invite someone from across the aisle to join you. 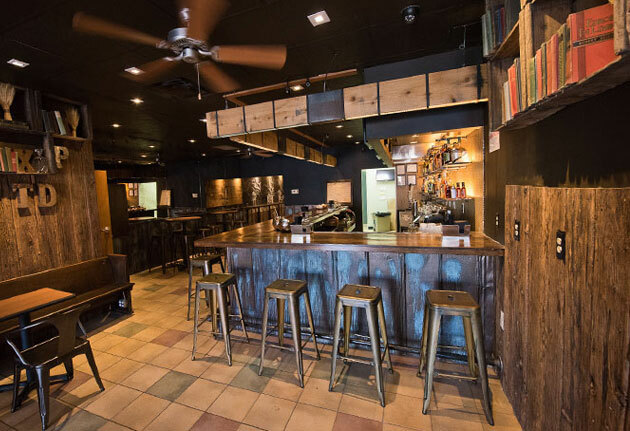 In Adams Morgan, they'll be passing small plates like kielbasa, spiced hog jowls and marrow bones, while you sip seven Rogue ales. For your less carnivorous companions, three shuckers will be turning out 3,000 oysters. Which leaves nearly 2,000 for everyone else. You're no stranger to booze aged in wood. But unlike your usual dram of scotch, this is... bubblier. RFD's turning over its back room to cask-aged ales. Forty bucks gets you an all-access pass to sample these ales from the wood. And sample. And sample.